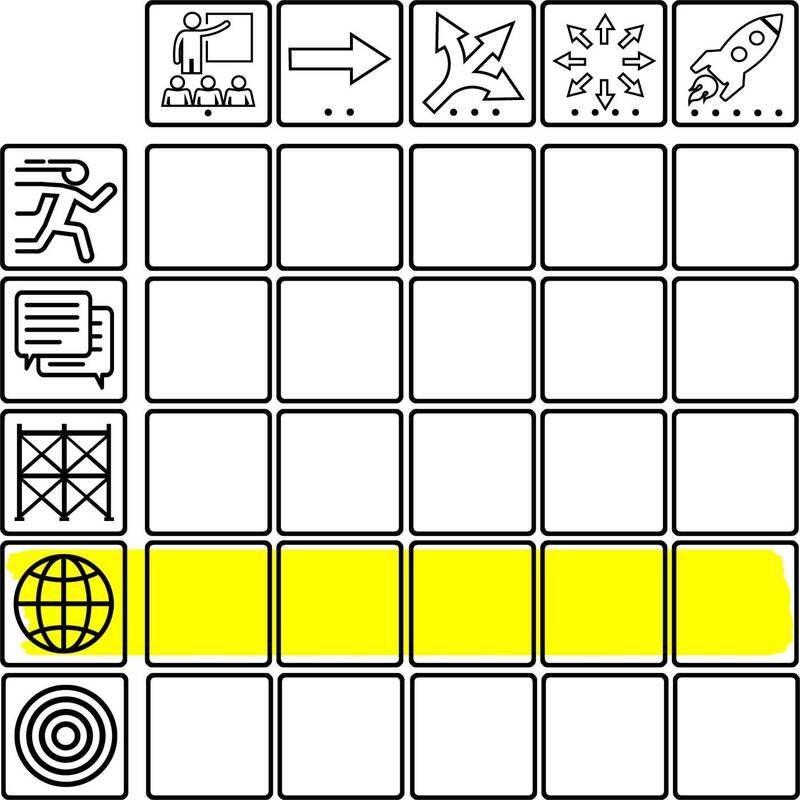 Illustration of the Technology Integration Matrix with the Authentic characteristic row highlighted yellow. 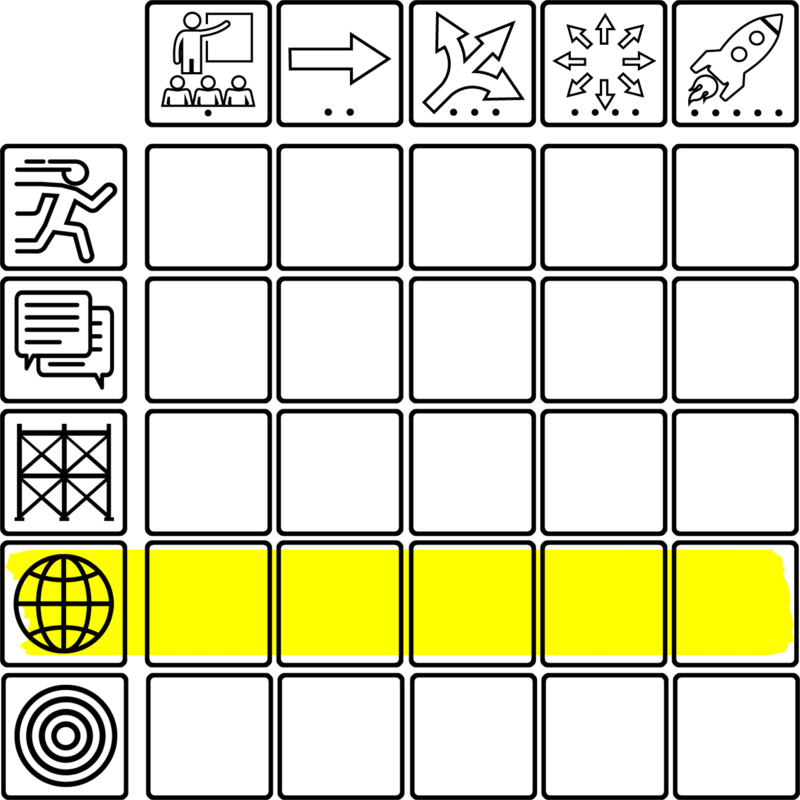 From left to right, the empty cells represent the Entry, Adoption, Adaptation, Infusion, and Transformation levels of the Authentic Learning characteristic. The image is available in JPEG format with a white background and in PNG format with a transparent background.